Oil companies thought they had OPEC pegged, but when the consortium changed its philosophy it turned into a black swan event for the industry. Until late last year it was a widely held belief among oil companies that OPEC rather enjoyed triple-digit oil prices. That view was supported by the fact that most of OPEC's member nations based their budgets on $100 per barrel oil and therefore would do what was necessary to protect that price. That assumption, however, was turned on its head when OPEC unexpectedly shifted its policy from protecting prices to protecting its market share. That policy reversal and the subsequent halving of the price of oil became a black swan event, as even the most conservative models had not forecast such a dramatic drop. It also wasn't the first time OPEC caught the market by surprise. A black swan event is defined as an event or occurrence that is completely out of the norm and therefore nearly impossible to predict. The term was popularized in Nassim Nicholas Taleb's 2008 book The Black Swan: The Impact of the Highly Improbable. Taleb pointed out how drastically the world has been affected by these exceptionally rare events. However, despite the history of black swans, their unpredictability leads many to fail to plan for the possibility that another could be looming on the horizon. That failure leaves many companies and individuals ill prepared when a black swan event does arise. A prime example of this is the oil industry's inability to realize that OPEC does not always act rationally. That has been the case for more than 40 years, going back to when the Arab members of the oil cartel hatched its first black swan by proclaiming an oil embargo on the U.S. and its allies in response to American support of Israel during the 1973 Yom Kippur War. That embargo led to an oil price shock and a subsequent stock market crash. More recently, American oil producers had been basically lulled to sleep by years of triple-digit oil prices and the belief that OPEC wanted oil prices to stay high. However, OPEC decided against reducing its output last fall when demand for oil turned out to be lower than expected. Instead, it preferred to maintain its share of the oil market and would, in fact, pump as much oil as possible to maintain that share by pushing out emerging American rivals. 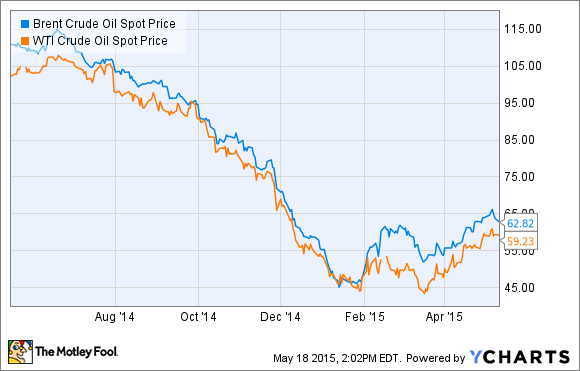 The result was a devastating 50% plunge in oil prices in less than six months. Prior to that, most forecasts had triple-digit oil prices extending out as far as the eye could see. Those forecasts fed into oil companies' models, which led to an industry mindset of "drill, baby, drill" -- fueling oil companies to borrow billions to drill wells as fast as they could to take advantage of OPEC's need to protect high oil prices. When OPEC decided against cutting production, U.S. oil producers were left with with no choice but to cut back on their own output. That was they only way they could avoid drowning in the debt they had taken in the push to drill. While black swan events are unpredictable by nature, companies still must plan for them. These events usually devastate companies that take on too much leverage, which tells us leverage levels should be kept low to hedge against black swans. While this won't completely mitigate the impact of the next black swan event, it will at least ensure the impact doesn't lead to the company's demise.